In another great incident of serendipity, while working on a post on an amazing woman in history, I found another amazing woman. In researching Catherine of Braganza, Queen of King Charles II, her mother was mentioned and it turns out she was a great ruler in her own right. As usual in these cases, there’s not a lot of information about her but what I did find was interesting. Luisa Maria Francisca was born on October 31, 1613 and was the daughter of Juan Manuel Pérez de Guzman, 8th Duke of Medina Sidonia. Her mother was Juana Lorenza Gomez de Sandoval y la Cerda. The Dukes of Medina Sidonia are grandees of Spain. The dukedom is the oldest in the kingdom, first awarded by King Juan II of Castile in 1445. The family was once the most prominent in the Andalusian region. Luisa’s grandfather, Alonso Pérez de Guzman y de Zuniga-Sotomayor, 7th Duke of Medina Sidonia, was the commander of King Philip II of Spain’s Spanish Armada which was defeated by the English on August 8, 1588. 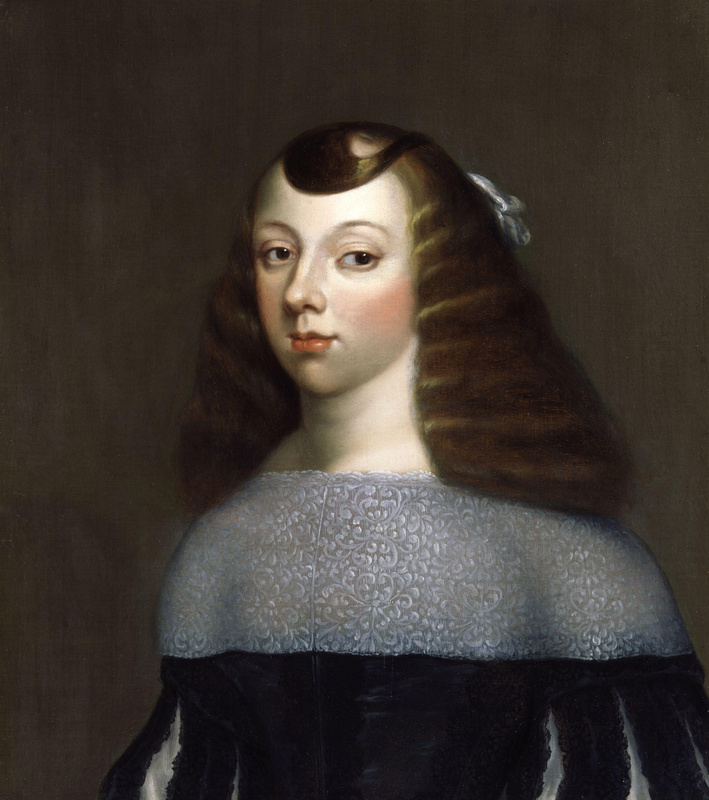 Luisa married John II, 8th Duke of Braganza in 1633. Portugal began a revolution in 1640 to become independent from Spain. Despite the fact that Luisa was Spanish, the determined Duchess guided her husband’s policies. When the tide of the revolution was in favor of Portugal, Duke John was offered the throne. Due to Luisa’s insistence, her husband agreed. When she was warned it was dangerous to be a Queen who had to fight the Spanish, she supposedly said “Rather Queen for a day than a duchess all my life”. Luisa and John had seven children. 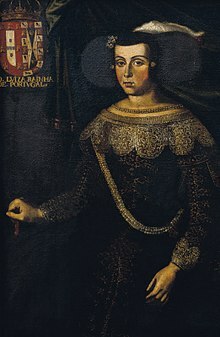 Infante Teodósio, Prince of Brazil lived for 19 years and died before his father, Ana de Braganza died at birth, Infanta Joana, Princess of Beira lived for 18 years, Catarina of Portugal became Queen of England, Manuel of Portugal died at birth, Afonso VI of Portugal became King and lived until he was forty and Pedro II of Portugal was King for 23 years. Young Afonso suffered an illness at the age of three that paralyzed the left half of his body and also caused mental instability. John was crowned King and the family moved to Lisbon. The Acclamation War, fought between Spain and Portugal lasted until 1668 and consisted of sporadic conflicts. There were border skirmishes and cavalry raids and sacks on towns, invasions and counter-invasions. There were only five major battles in the twenty-eight years of conflict. Portugal received little cooperation from other European countries but one monarch acknowledged John’s elevation to the monarchy. The struggling King Charles I of England recognized his crown and King John would never forget this validation of his status. Worn out with fighting, King John died in 1656. John’s will appointed Luisa as regent for her young son who became King Afonso VI. She remained as regent even when Afonso became an adult due to his mental illness. She was to preserve the principles of freedom and independence for Portugal during the long conflict with Spain. She was responsible for a new, strong alliance with England which culminated in the marriage of her daughter Catherine to King Charles II of England. 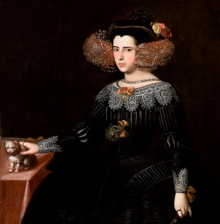 She cultivated commercial enterprises and trade to help the Portuguese economy and she strengthened the military, fully ensuring success in Portuguese independence. The Treaty of Lisbon was signed after she died in 1668 and Spain finally recognized Portugal as an independent Kingdom. Sadly Afonso became so unstable he was easily influenced by his favorites. In 1662, his new favorite, Luiz de Vasconcelos e Sousa, Count of Castelo-Melhor convinced Afonso his mother was trying to steal his throne and send him into exile. The King and the court began ostracizing Luisa until she finally agreed to retire to a convent. Castelo-Melhor gained full power after her departure. As she lay dying she requested Afonso come to her. He stalled and finally arrived three days after her death. She died on February 27, 1666 at the age of fifty two. Excellent article. Like most great people, she was ahead of her time. Interesting commentary on how easily influenced her son was. She obviously was too bright and too commanding for the majority of people in power at that time. Excellent post.